I’ve always enjoyed Paulaner Hefe-Weizen and I liked the sample of Salvator, so I bought a mixed case of Paulaner, with 12 Hef and 12 Salvator. I like visiting brewery web sites while writing my blog posts, and I had to laugh when I visited the Paulaner web site. A lot of American breweries have been adding an age verification page to their web sites, asking visitors to confirm that they are at least 21 years of age. The Paulaner web site asked: “Before continuing, please confirm that you are aged 16 or older!” I guess things are a little different in Europe. 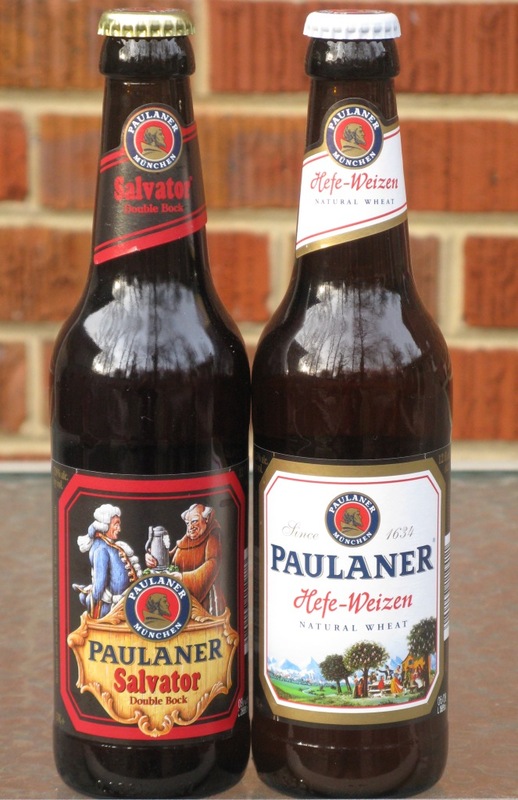 I enjoyed the case of Paulaner during the NFL divisional playoffs, January 16-17.